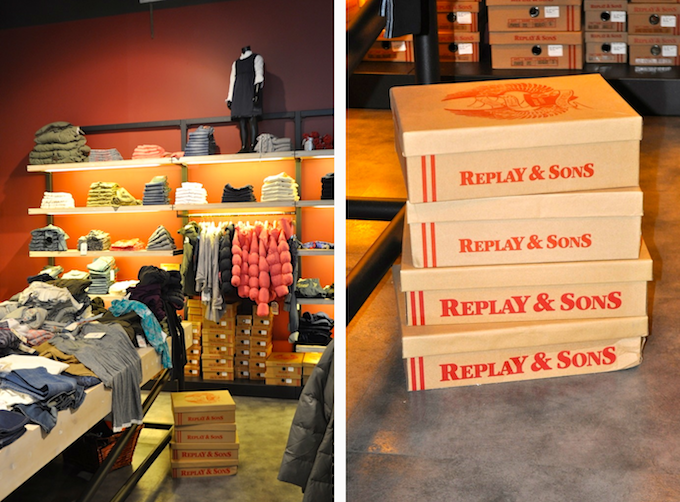 VFNO @La Reggia Designer Outlet | Cosa Mi Metto??? Sunday, during the second day of the VFNO I decided to take a walk to La Reggia Designer Outlet: I discovered the new collections and the limited edition products created specifically for the occasion; the shops windows were prepared with dedicated accessories and there were live performances of street style artists and jugglers; and also show cooking, make up corners, cocktails and food tasting. Definitely an amazing day! Domenica, in occasione della seconda giornata della VFNO ho deciso di fare una passeggiata a La Reggia Designer Outlet: oltre a scoprire le nuove collezioni, e i prodotti in edizione limitata realizzati appositamente per l'occasione, ho potuto ammirare le vetrine con allestimenti dedicati, performance live di artisti di strada e giocolieri; non sono mancati inoltre show-cooking, make up corner, cocktail e degustazioni gastronomiche. Decisamente una giornata memorabile! Lovely pics! Nice comfy look and adorable baby clothes! Don't miss you my review of VIRTUDES LANGA Fashion designer at Valencia Fashion Week...pics of the fashion-show and interview !!. The store is filled with beautiful things, you look very nice in the yellow blazer..
Quante belle cose e i vestitini del gufo sono una meraviglia! Looks a fab event! We've got ours on Oct 10th in the UK. ma quanti bellissimi vestitini per la tua principessa! Deve essere stato molto bello. Tu sei dolcissima Fabrizia! Un bacione! OMG!! 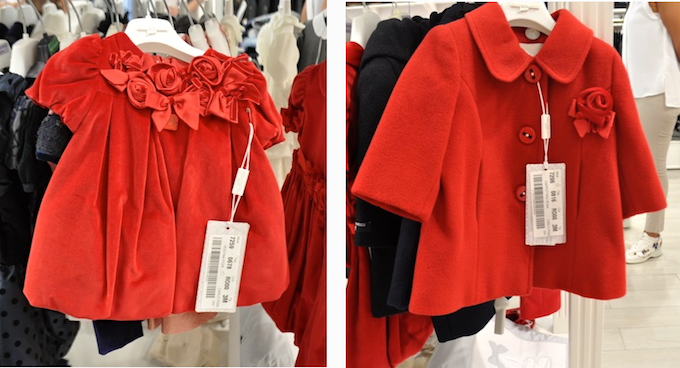 in love with those children clothes: they are super cute!! Bellissime foto!..ti prego ti prego ti prego dimmi k hai preso quello stupendo cappottino x la tua bimba!! Great pictures. And those clothes! Uber cute. love everiyhing from your pictures! Che carine le cosine de "Il gufo"! Le compro anche io per mia nipote! 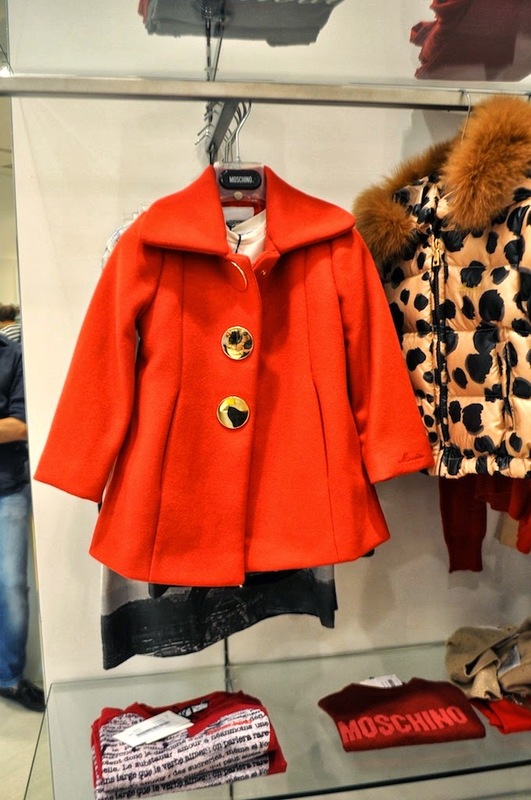 Oh I want one of those coats for my girl too:) lots of cute stuff in baby department too!enjoyed this post! sei bellissima come sempre, belle foto ho visto un sacco di cose che mi piacciono!! wow.... great items there... even for the little ones. you look beautiful in yellow, nice tan! you look so cute! love your outfit! I love your blazer, and I can't wait to see your little one all dressed up. Speaking of which...is she here yet? What a beautiful preggy mama!! !